Last week I was fortunate to attend a presentation by Sally Kettle at the Watermen’s Hall, organised by our great friends from Inn or Out. 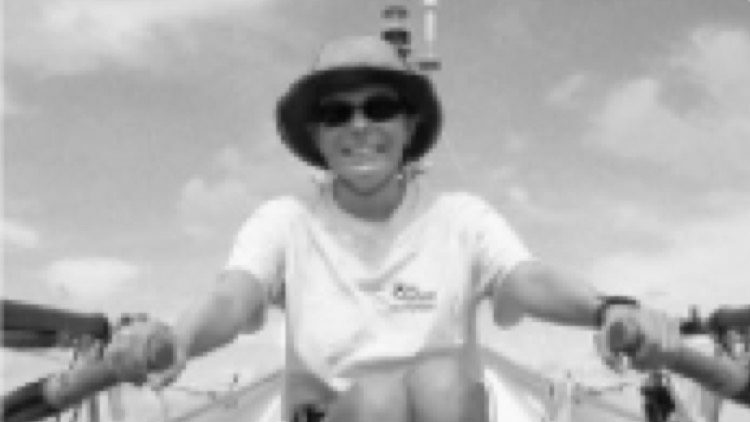 Sally Kettle is the first woman to row the Atlantic Ocean twice from East to West, and once with her mother! All her adventures have been for good causes and she’s raised over £500,000 for charity. On top of this and after just eight weeks training, Sally and rowing partner Charlene Ayres are going to jump into an ocean rowing boat on 1st June and row around the coast of Great Britain. Approximately 2000 miles of tricky tides, testing winds, whipping waves and the odd tanker lies ahead of the CoastGirls in their 50 day row. In typical Sally fashion, she says she hopes to be 2 stone lighter and achieve a new World Record – the first female pair to row round Great Britain. Sally’s entertaining account of her Atlantic crossings, included rough seas, wild storms, harsh living and encounters with sharks. She delivered it in stupendous style and her speech was both hilarious and informative, evoking a whole range of emotions. But what struck me most was her modesty and feet firmly on the ground (excuse the pun). She seemed just like you and me, but of course she wasn’t! Sally’s favourite saying was, “What’s stopping you?” She very cleverly related this to the guests in the room. Yes, we weren’t all going to climb Everest but we probably all did have some secret ambition that we’d like to achieve. And through her (very unglamorous) descriptions of the tedium, sea-sickness, disappointments and the set-backs she had worked through, you began to feel that you could achieve that dream. She showed how ordinary people can achieve extraordinary things. She vividly described her Atlantic crossings and the importance of teamwork and how team members related to one another and supported one another. Imagine living in a boat about the size of a small bathroom, stuck for three months with four other people? As Sally said, “There wasn’t an option to not get along”. Much of her success in leading the second expedition and team was using techniques she had learnt on the first crossing with her Mum; be nice to one another, be understanding, go out of your way for the other person. Small acts of kindness made a very big difference. Sally didn’t tell her team members what to do, she was a role model. Her inspiring talk did the same for me, she didn’t tell me what to do, she showed me and that’s how we are at bartlett mitchell. So, who’s your role model? And what’s stopping you? Follow Sally on her latest exciting and dangerous feat, GB Row 2013.